Lambton Doors » Uncategorized » AOI – 10 Years Of Business : Congratulations From Lambton! 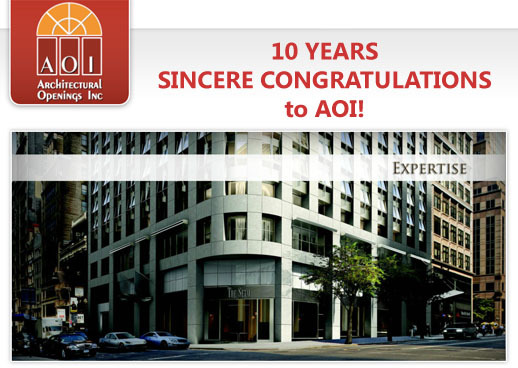 AOI – 10 Years Of Business : Congratulations From Lambton! February 2015, Mike Bonaventura and Eric Weinstein are celebrating their ten years of business (Openings Architectural Inc.). Furthermore, Alex Irinyi celebrates ten years as a sales representative with AOI. Congratulations to all of you! We really appreciate your business in New Jersey and New York areas.